Pick up the metal detector and the shovel. Put the metal detector on the sand then drag it around until you discover the X. Dig the X using the shovel. Open the chest to get the blue gem. 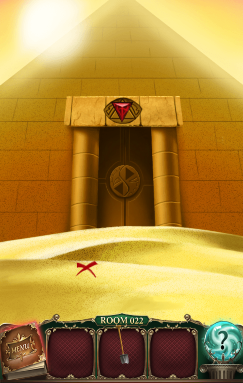 Use the shovel to take the red gem above the door. 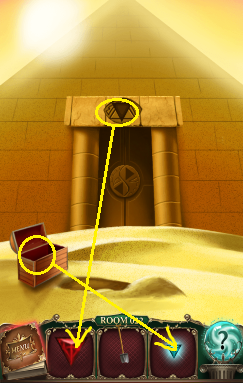 Place both gems on the door to open it.